A recent trip to St Tropez in the South of France revealed these medieval towers guarding the harbour in this ancient southern town. 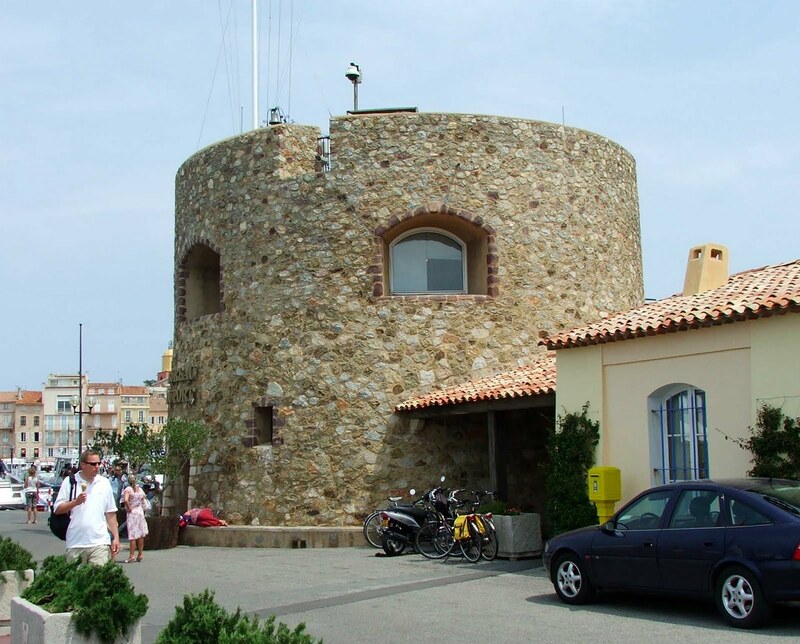 St Tropez also has a large 16th century citadel which now houses the Naval museum, but the three harbour towers are much older than this building. Similar to the St Tropez towers, is the following...this time in Jersey, and not as old. This tower can be found at Greve de Lecq, on the North coast of the island. It was built sometime around 1778, probably being one of the first towers to be built in the face of a French\Napoleonic invasion. 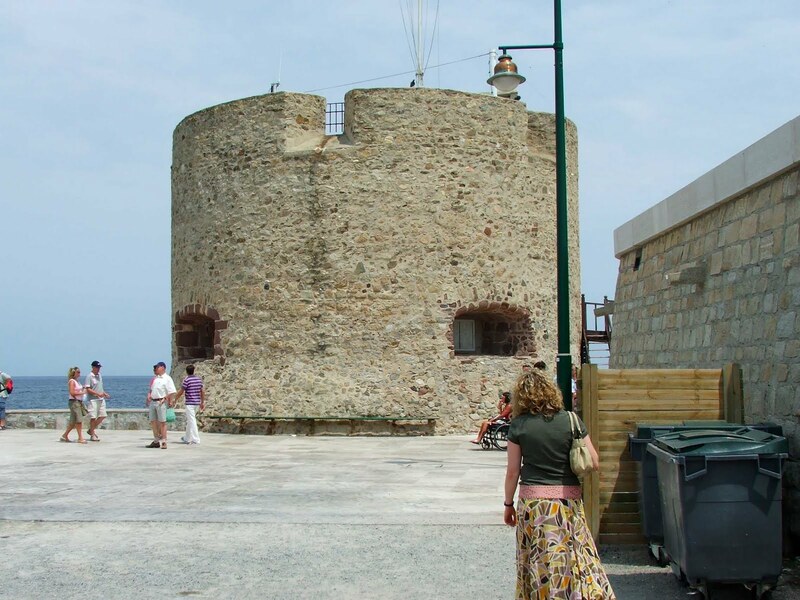 The photo above (courtesy of Charles Jeffries) clearly shows the machicoulis...gaps in the masonry that the defenders could use to fire missiles at anyone attacking the base of the tower. This tower was part of a building project that incorporated the erection of 22 towers, later leading to a vast building project incorporating the South coast of England...again planning for the protection against a French\Napoleonic invasion. This tower did not stand alone in its defence of the North coast (for which it was the only tower built in this region) To the West of the tower, a redoubt was built on the headland, and on the other side of the bay, two batteries were built. The tower is painted white on the seaward side, making it visible far out at sea. This serves as a navigational marker for ships. The landward side is unpainted.